To show just how much technology has changed the hunting industry and the sport itself, one would have to look no further than a GPS device. Not only has this device enabled us to go further than we would have before, but we can mark sign, fishing hotspots and more. 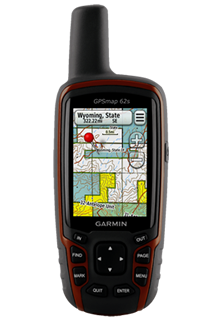 The biggest influence, in my humble opinion though, as of late is the software available in these GPS units. Hunting Maps GPS software has revolutionized public land hunting so not only more can enjoy the sport, but so that territory lines are not crossed. Hunting Maps GPS software is finding its way into many hunters hands. The software shows maps that hunters can see unmarked parcels of public ground, so that you can access more without the fear of trespassing. It also shows the property lines, so if there is a dispute, you can prove your side of the story, or a warden can determine that. One of the handiest features of the Hunting Maps GPS software is that is that it details the name of the public agency that manages the land that is private or the owner. This means it is easy to find out the information to call them and ask for permission to hunt. Game wardens in some states are already using the software to solve trespassing disputes. They can quickly solve an issue with the landowner so that they can move on to more important issues. There are obviously people who feel strongly one way or the other with the new technology and software available, but needless to say, it’s not going anywhere. My opinion is to embrace it and use it to your advantage. Currently the software is available for most of the Western states and will be coming soon to Minnesota, Ohio, Wisconsin, Indiana, Michigan, Pennsylvania, New York and Texas.